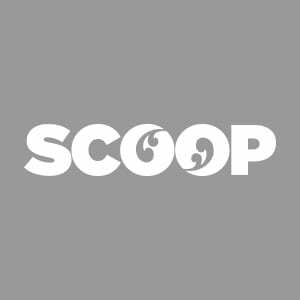 Workplace bullying in New Zealand is at an epidemic level and the Government is doing nothing about it, according to CultureSafe NZ director Allan Halse. Halse, who has advocated for hundreds of victims of workplace bullying, is calling on the Minister of Workplace Relations and Safety Michael Woodhouse to launch an inquiry into “systemic” workplace bullying. His call for an inquiry comes after Halse advocated for the woman at the centre of stories on Stuff.co.nz andNZHerald.co.nz today that outline allegations of bullying, racism and disrespect for bodies at Auckland City Hospital’s mortuary. Halse wrote to Woodhouse in July 2015 outlining his concerns about serious deficiencies of the application and interpretation of the Health and Safety in Employment Act 1992 and its relationship to workplace bullying. But Halse says nothing came of his contact with Woodhouse or with the Ministry of Business, Innovation and Employment. And he says he sees employers continuing to provide unsafe working environments. “I met with MBIE and WorkSafe about my concerns, but nothing has changed. Halse said a 20091 study showed the almost one if five workers had experienced workplace bullying. Halse acted for mortuary worker Mandy Kelly who made a formal complaint about her treatment in the workplace. She has since quit her job and returned to her UK home. NZME and Fairfax have today reported that a top-level inquiry by WorkSafe is now under way into allegations of bullying and concerns about work practices, including the treatment of bodies, at Auckland City Hospital’s mortuary. “Every single day I see how workplace bullying impacts on people… on their physical and mental health. It destroys them. And it has to stop. “Not only does workplace bullying impact hundreds of people and their families, it also has far-reaching implications on our economy. It impacts our health system, our productivity as a country.